Panoply is great for smaller organizations where analytics is critical, but it is unrealistic to hire a data engineer or build a data infrastructure. 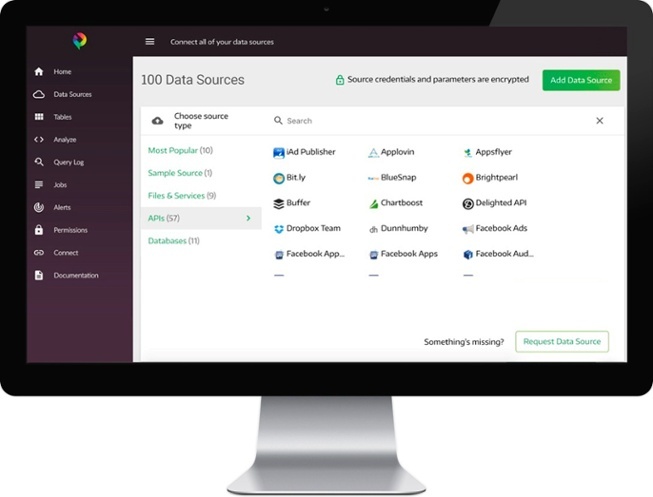 Panoply comes as a full data stack out of the box. Clear install story. There are a lot of ways to install python. There's only one way to install anaconda. This makes teaching and standardizing much easier. Batteries included. It's easy to install things in python, but anaconda ships with most of what you need out of the box. This helps with standardization and reproducibility. Good integrations with Jupyter and other visual tools. Jupyter is really convenient when learning various python packages. Anaconda makes these tools easy to launch and to use. Ease of data integrations. Importing data into the data warehouse is a point-and-click effort. Automated data modeling. The data is modeled in a way that facilitates analysis without having to look into it myself. Query speed. Automated query optimization has really sped up our dashboards. I am not sure as I have not explored more on Anaconda platform if we can create workflows of different tasks on data using pre-defined templates. For example, KNIME offers this kind of approach. Once some analysis is completed and if the result has to be presented, currently I see the only option is sharing the Jupyter notebook. It's really good at data processing, but needs to grow more in publishing in a way that a non-programmer can interact with. It also introduces confusion for programmers that are familiar with normal Python processes which are slightly different in Anaconda such as virtualenvs. It's really good at installing and getting started. It's less usable and configurable after that. If you stay in the ecosystem, and don't know how to Python any other way - it works really well. Panoply's time to value is much more rapid than Redshift, BigQuery, or Snowflake. Anaconda has helped us analyze academic data to inform business decisions. Anaconda has helped us visualize complex data sets into understandable graphics. Anaconda has helped us explore machine learning abilities and limitations. Simply click to connect 100 data sources. Panoply offers simple, transparent pricing. All plans have a 21-day free trial—no credit card required. You'll get an account executive and data architect to help you get the most out of your smart data warehouse. Pricing starts at $79/month.